Next time you’re about to brush your teeth, take a good look at your toothbrush. Does it look right? Is it time for a new one? How do you know? At my dental office in Douglasville, we’re here to help you determine when it’s time to replace your old toothbrush and why it’s important. In addition to taking proper care of your toothbrush, using it twice a day, and replacing it when necessary, it’s also crucial to maintain regular appointments at my Douglasville dental office. 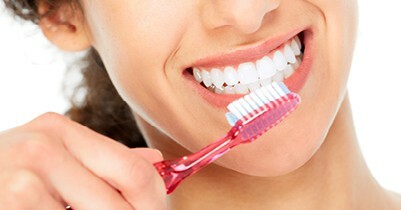 Professional cleanings help to remove debris and bacteria your regular toothbrush can’t reach. If you’re in need of a new dentist, or it’s been awhile since we saw you last, give us a call! While you’re gearing up to head out on summer vacation this year, you’ll probably pack a bunch of first-aid items, extra clothes, and a load of medication because you can’t be too careful. Anything can happen at anytime. But what do you do if you have a dental emergency while away? At my Douglasville dental office, we’re happy to provide you some tips to take with you. Emergencies of any kind are no fun, especially if they interrupt a vacation. If you do experience a dental emergency while away, give my dental office in Douglasville a call as soon as you return. We’ll want to ensure the problem is no longer active and if it is, we will work with you to treat it comfortably .